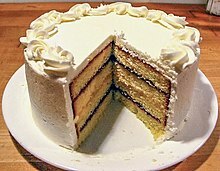 This video provides step-by-step instructions for baking a basic yellow cake. 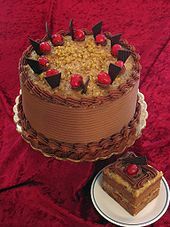 A few tips for baking with eggs and cakes. ↑ Cake finishes. Youtube.com. Retrieved on 23 December 2011. ↑ Types of Flour. Whatscookingamerica.net. Retrieved on 23 December 2011.